The Supernatural TV Series, starring Jensen Ackles and Jared Padalecki is one of the most dynamic shows on TV. It's one of the few remaining TV series with real writing, acting, and a place to go. Part of the success of the show comes from the producer's use of music to enhance the TV series. Classic rock songs are peppered into the episodes in just the right places, and the boys themselves are often playing or quoting famous rock songs. They usually even take on the names of famous rock stars for their aliases (Detectives Page and Plant, etc.). The Supernatural songs fit the classic rock personalities of the Winchester boys. 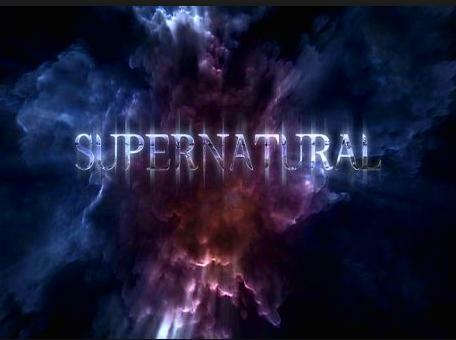 Here is a list of songs dedicated to the Supernatural TV Series. Some of these tracks were used in the episodes, and the rest I felt were appropriate. 10 - Evil Woman by ELO (Electric Light Orchestra). Dedicated to Ruby, the evil temptress who fooled us for two seasons. 8 - The Final Cut by Pink Floyd, for the demon Meg. She was always cutting throats to fill her bowl of blood, so she could make a call to the underworld. Rhiannon by Fleetwood Mac would also suit Meg. 7 - Welcome to My Nightmare by Alice Cooper. This creepy '70s song is for Alistair. 6 - Don't Fear the Reaper by Blue Oyster Cult, for the reaper chick in seasons 3 and 4. She helped in her own demented way. She may be back later. I think we rather liked her, didn't we? 5 - Magic, by the Cars (1984), for the Angel Castiel. Oh oh, it's magic, when I'm with you. He's not always there when you need a spark of magic to save the day, but ...when he is around, it's cool. I think Castiel would be an 80's fan. 4 - Like a Rock, by Bob Seger, for Bobby. He's the solid rock of the trio. He rarely gets ruffled, and he always knows the answers. He's the guy at home with his demon lore and demon panic room, and a shotgun in hand. He offers a holy water beer to any guest who arrives, and that just makes him one of my favorite characters. 3 - Bang Your Head (Metal Health) by Quiet Riot, for Dean who just can't seem to get any sense into his brother's skull. Dean is the bad boy, the good brother, and the metal fan of the two. But he does seem to bang his head "against a wall" on more than one occasion. Also, I think Dean would like this song. 2 - Hot Blooded by Foreigner is dedicated to Sammy, the "boy with the demon blood." We still like him. We just want to see where all that hot blood is taking him next. - is for both the boys, and for the whole series. It's one of the trademark songs of the series, and an appropriate tune for the theme of the show. The boys are continually chasing peace at the end of the road, even if it is elusive. A New Day Yesterday by Jethro Tull was also featured in season 6. Nicely done, too. The Supernatural TV Series has played some great songs, always kept the music rolling, and inspired us with unforgettable classic rock songs (some we hadn't heard in awhile).